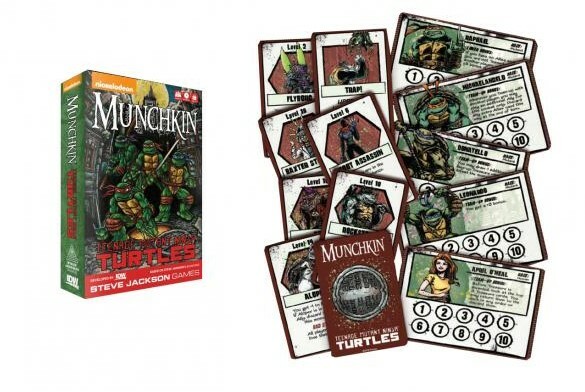 This collaboration brings the mega-hit Munchkin card game series to the next level. 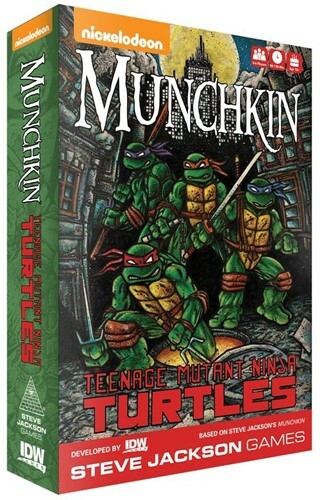 Players take on the roles of the Turtles and their friends to fight monsters and grab treasure. The card game will be available in standard, deluxe, and deluxe ultimate formats and features all-new art from iconic Teenage Mutant Ninja Turtles co-creator, Kevin Eastman, along with artist Tadd Galusha, and gameplay developed by designer Jon Cohn.